Giving new life and vibrance to your smile, highly cosmetic porcelain veneers and dental crowns may be just the upgrade you need for a perfectly esthetic, functional smile. Veneers and crowns from Dr. Kayvon Javid are custom-crafted for the perfect fit, meeting your smile goals as an individual procedure or as part of a comprehensive smile makeover. Whatever your personal aspirations for your smile may be, trust the expert dental craftsmanship of Dr. Kayvon Javid and Dr. Mariam Nadi. Contact our office today to reserve your cosmetic dental consultation. A one-on-one smile consultation and comprehensive exam allows our doctors to plan the best course of action for your oral health and your smile. To bring you the most innovation options, our doctors stay abreast of advanced procedures through professional associations like the American Academy of General Dentistry and American Dental Association. Drs. Javid and Nadi’s combined 25 years of cosmetic dentistry experience along with an unwavering commitment to offering top rate procedures such as CEREC® same-day restorations place them in a league of their own when planning and executing cosmetic treatment plans. Your specific functional needs and esthetic goals direct the path of treatment most ideal for attaining your best smile. 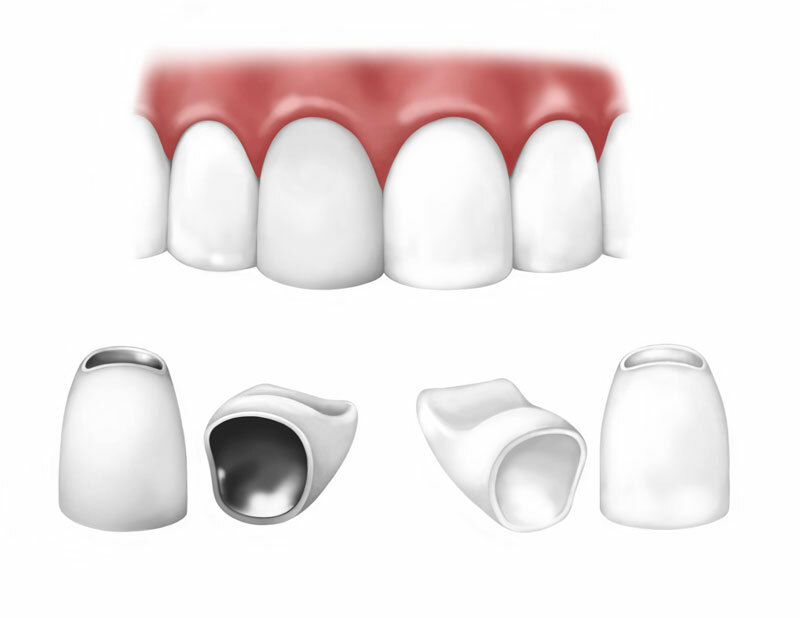 Though both are extremely cosmetic and often made of natural-looking porcelain, veneers and crowns serve different purposes in the mouth.